Most adolescent boys growing up in the 1970s and 80s will have encountered the violent and sexually graphic books of Sven Hassel. Even today, despite being out of print, dog-eared copies of his Second World War novels still turn up in unexpected places, whisking middle-aged men back to those joyous days of discovery. In Britain, he is particularly popular. An estimated 15 million of the 53 million copies he sold – a figure that might even place him above Hans Christian Andersen as the bestselling Danish novelist and easily three times more than Jussi Adler-Olsen. His books have been translated into 18 languages and published in more than 50 countries. However, despite the success of his work, relatively little is known about the writer. In fact, his reclusive habits have given rise to a series of controversies that only serve to add to the author’s mystique. According to his official web biography, Hassel was born Børge Willy Redsted Pedersen in 1917 in the Zealand town of Fredensborg to a traditional working-class family. After serving in the merchant navy, he joined the German army as a volunteer in 1936 at the height of the great 1930s Depression. Hassel subsequently served with the second Panzer Division in Eisenach, and later with the 11th and 27th Panzer Regiments. According to his website, he fought on all fronts except north Africa, spending much of his time in Russia. By the end of the war, Hassel had reached the rank of lieutenant and had been awarded the prestigious Iron Cross. The biography goes on to mention that Hassel began work on his first book, ‘Legion of the Damned’, while he was interred as a POW after the war. The book, which was published in Denmark in 1953, describes the adventures of a deserter from the German army, and its success encouraged him to continue on a writing career. 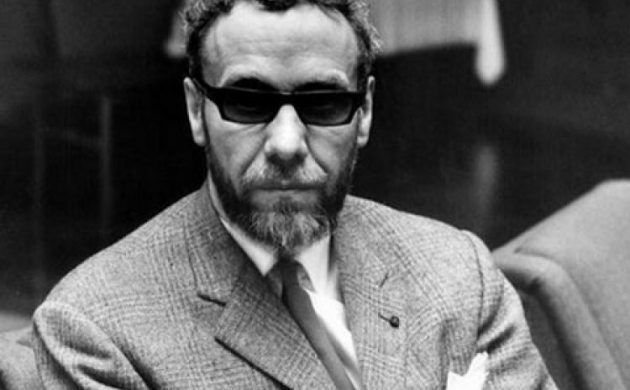 In 1964, Hassel moved to Barcelona eschewing any promotional activities and rarely speaking to the press. Like Homer … doh! Seriously! Writing in a direct, simple style that fans say is comparable with Hemingway, Homer or Solzhenitzin, Hassel’s novels usually feature the same characters led by main protagonist Joseph Porta, a chef, musician, anti-authoritarian and cold-blooded killer. Although Porta and the fellow members of his ‘penal panzer regiment’ have little time for Nazism, none have any compunction about brutally despatching soldiers from either side. These killings are described in exacting detail in Hassel’s writing. As his fans point out, Hassel accurately and poignantly depicted the absurdity of war as well as the brutality of the Nazi regime. However, it is precisely these graphic scenes that have prevented his work from being taken seriously by critics, and many still dismiss his work as pulp, throwaway fiction. One of Hassel’s most vehement detractors is writer Erik Haaest, whose website lays into Hassel with unusual ferocity. According to Haaest, the author spent much of the war back home in occupied Denmark, gaining his war knowledge from his post-war experiences in prison, where he mixed with Danish SS veterans. Haaest goes on to claim that Hassel employed a ghostwriter to write his first novel and, when it became a major literary success, allowed his wife to write the rest of his books. Although few of Hassel’s fans take Haaest’s accusations seriously, the internet has spawned numerous newsgroups and discussion forums that expand on the Hassel legend, supposedly ‘exposing’ Hassel’s controversial wartime past. The allegations range from his involvement in a bicycle-thieving ring to others far too libelous to be printed in this newspaper. Whatever the truth, his fans are convinced that Hassel will go down in history as one of the Second World War’s great chroniclers. But because he continued to lead such a reclusive lifestyle up until his death in 2012, his myth and mystique will undoubtedly grow, which some say could have been precisely the wily old author’s intention. 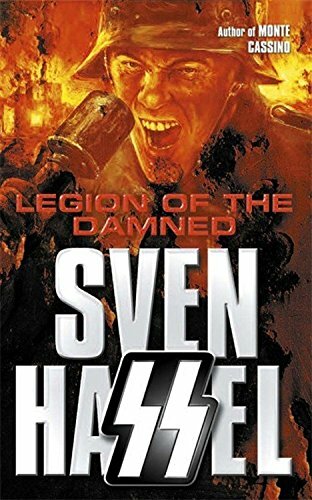 Three of Hassel’s best-known books are ‘The Legion of the Damned’, ‘Wheels of Terror’, and ‘Monte Casino’.